Snakes are a carrier of destiny to those who are ignorant; on the contrary, they are one among the major splendid wonders of nature. According to early mythology, tradition and information from the motion pictures and documentaries, snakes are a are a hot subject for discussion and a concentrated area of focus by fans. 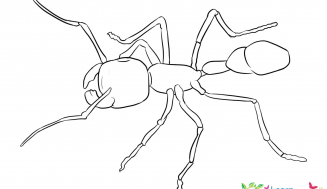 These cold-blooded animals, besides embodying a spirit of mystery and lack of clarity in their evaluation process give food for thought to many biologists who work exclusively on research about them.. There are more than 2900 varieties of serpents wriggling in every nook and corner of the earth, except in the continent of Antarctica. 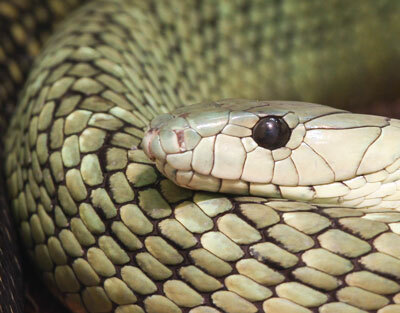 The majority of the people consider snakes as a cauldron of fatal venom. Yet, remember, not all snakes are venomous. But still snakes use their venom for getting their prey to surrender and to kill them; they generally use it as a tool for self-defense. The Indian Cobra, Cape Cobra, Egyptian Cobra, King cobra, Mozambique Spitting Cobra, Red-Spitting Cobra, Black Mamba, Green Mamba and the Inland Taipan (the world’s most earthly venomous snake). The Black Mamba belonging to the genus Dendroaspis (Mambas), otherwise known as black-mouthed mamba or common black mamba is a very venomous snake and endemic to the sub-Saharan region in the continent of Africa. The skin on the back of the black mamba is olive, gray, brown and at times, khaki in color. The length of a fully developed snake is 2.5 m (8.2 ft). It is Africa’s fastest moving snake, also world’s fastest moving snake. The average venom delivered through its bite is almost 100 to 120 mg and the highest ever recorded measure is 400 mg. The rate of mortality in a single bite is almost cent per cent. A black mamba bite probably leads to the death of a human being in 20 minutes, but in general it takes 30 to 60 minutes, and on certain occasions as long as 3 hours. The lengthiest venomous snake on earth is the king cobra (Ophiophagus Hannah). 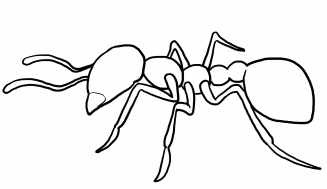 Its length extends from 18.5 – 18.8 ft (5.6 m – 5.7 m). 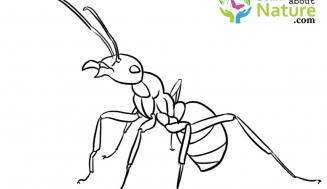 You can see this particular variety mainly in the Indian forests through the Southeastern regions of Asia. They feed mainly on other types of snakes. The average length of a King cobra ranges from 3 to 4 m (9.8 to 13.1 ft) and weighs almost 6 kg. (13 lbs), but one specimen in the London zoo, measured about 18.5-18.8 feet. 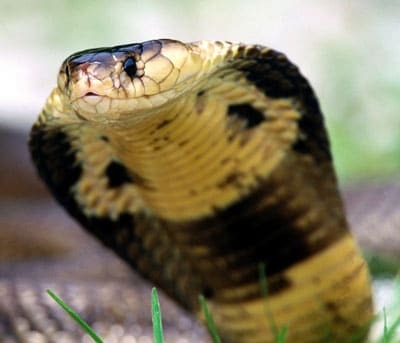 The heaviest King Cobra was the one in the New York Zoological Park, weighing about 12.7 kilograms (about 28 Kgs), and measuring 14 feet in length. 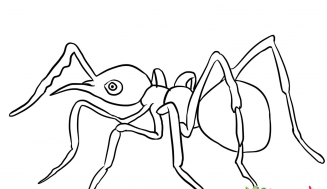 Ophiophagus Hannah is from the monotypic genus Ophiophagus and belongs to theElapidae family. 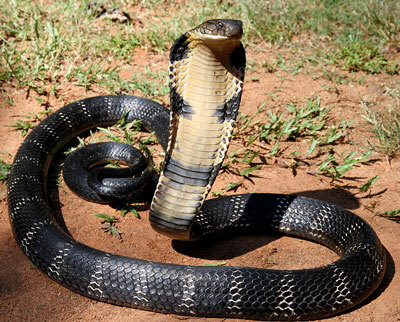 The king cobra’s mainly consists of neurotoxins, in addition to which, it has certain other compounds. 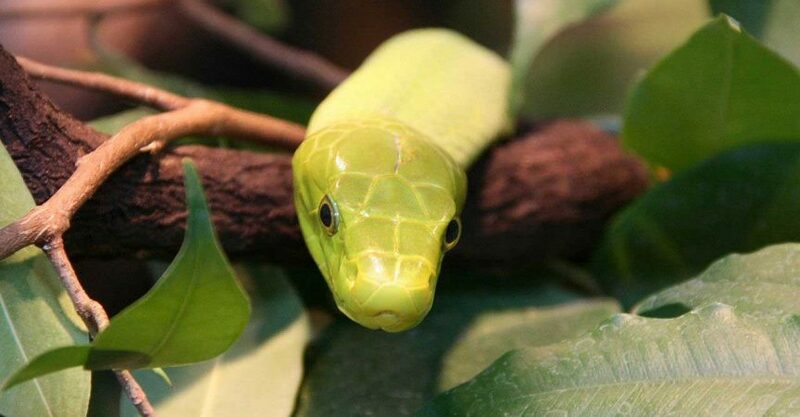 The eastern green mamba is otherwise called the green mamba, common mamba, white- mouthed mamba or East African green mamba. It is an extremely poisonous, huge arboreal variety of snakes belonging to the mamba genus Dendroaspis. The body of the eastern green mamba is big, very slim and to some extent laterally flattened, its long tail is more or less tapered. 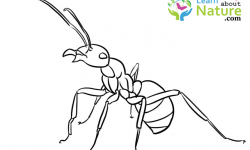 The standard total length of a male is approximately 1.8m (5.9 ft), but a female can measure up to 2 m (6.6 ft). The eastern mamba is in particular a very venomous snake. 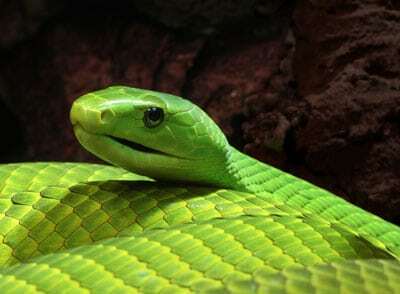 The western green mamba (Dendroaspis viridis), is otherwise called Hallowell’s green mamba or West African green mamba. In the mamba genus, Dendroaspis, this is a thin, long and extremely venomous snake. The Western green mamba dwells mainly in the coastal regions of the tropical rainforest, woodland provinces of West Africa and in thickets. This snake is very active, panicky and incredibly vigilant. The Western green mamba’s body is incredibly slim and lengthy; it has a lengthy tapered tail. The standard length of a well developed snake of this variety ranges from 1.4 m (4.6 ft) to 2.1 m (6.9 ft). The venom of the western green mamba is comparable to that of the members belonging to the mamba genus Deaths on the accord of the bites of these snakes are rare because these snakes do not frequently trespass human track, even though there are incidences where most of the bites resulted in loss of life. 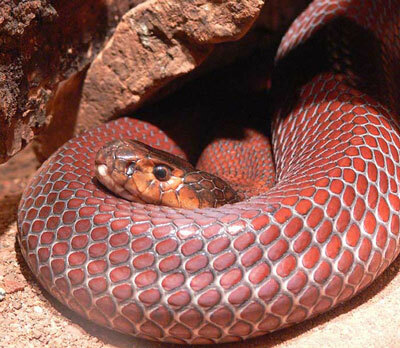 Naja Pallida or the red-spitting Cobra, is one among the spitting cobras found in Africa. Even though the length of an average sized cobra ranges from 0.7 to 1.2 m (2.3 to 3.9 ft) they can grow up to almost 1.5 m or 4.9 feet in exceptional cases. This specie’s venom is similar to the majority of the other spitting cobras, it possesses a combination of cytotoxins and neurotoxins. The symptoms from a bite is mild pain and numbness around the tongue and the lips. Venom in the eye, potentially poses a risk, and you must wash it quickly to prevent blindness. Most of the snake bites in India are from the bites of these four species. On the back of the snake’s hood, there is a pair of circular ocelli designs joined together by an arched line which resembles spectacles. The standard length of a medium sized cobra is almost 1.9 m (6 ft) and rarely do you see a 2.4 m long (about 8 ft) specimen. 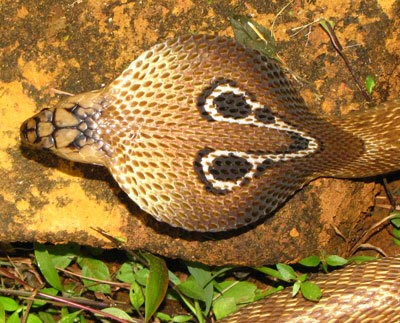 The Indian Cobra’s hood is the main distinguishing and inspiring feature. When it is in danger, it raises the anterior part of its body and spreads few of its ribs in the region of its neck. The venom of the Indian cobra possesses a dangerous combination of post-synaptic neurotoxin and cardiotoxin. This affects the nerve’s synaptic gaps. As a result, the muscles become numbed. In cases of brutal bites, it results in cardiac arrest and failure of the respiratory system. 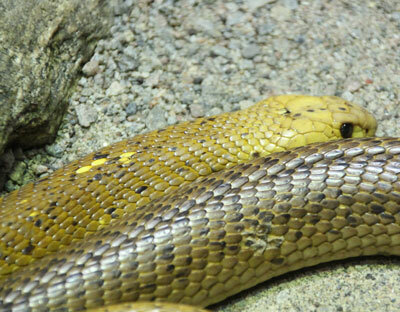 Cape cobra scientifically named Naja Nivea, otherwise known as the yellow cobra is an inhabitant of a vast expanse of biomes in South Africa, which includes the bushveld, fynbos, dry savannas, partial desert regions and deserts. This species is active at day and at rest night time. Its feeding habits are varied. It preys on carrions, and on various species. The size of this cobra is standard. The length of a well developed cobra is 1.2 – 1.4 m (3.9 – 4.6 ft), yet there are instances of these snakes growing to a length of 1.6m (5.2 ft). All over Africa, they consider this cobra as the most venomous variety of cobra, on account of its powerful venom and the regular incidence found in houses. 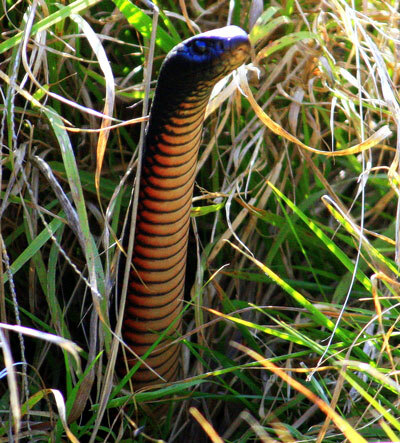 This very poisonous cobra is average in size, it inhabits great types of dominant vegetations all over South Africa. These varieties are agile at day as well as night and feed lavishly and feed upon a great number of any other species of snakes and even rotten meat of dead animals (carrion). This cobra is a medium sized species, and mature specimens typically measure about 1.2 to 1.4 meters (3.9 to 4.6 ft) However, it may grow up to 1.6 meters (5.2 ft) in length. 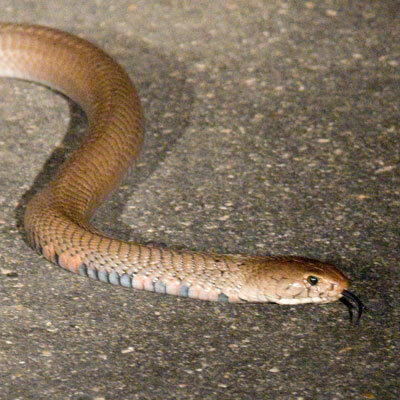 Most Africans regard this snake as one of the most dangerous species of cobra in all of Africa by virtue of its potent venom and frequent occurrence around houses. The Egyptian cobra is a type belonging to the Naja genus seen on the Peninsula of Arabia and Africa. In Africa the Egyptian cobra is one among the biggest Naja species and is the biggest cobra found in the continent of Africa. The head of this cobra is huge with a depression; it is somewhat distinctive from its neck. The standard length of this snake varies from 1 to 2 m (3.3 to 6.6 ft). The biggest cobra measures 3 meters. 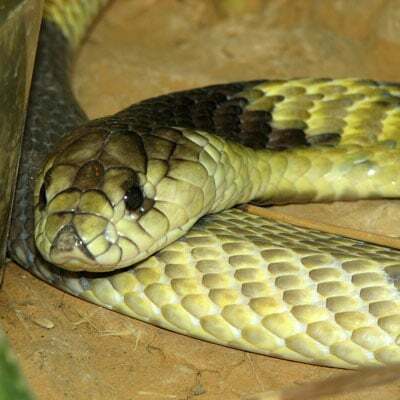 The Egyptian cobra’s venom is a composition of cytotoxins and neurotoxins. 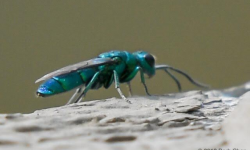 In a single bite it emits venom of approximately 175 – 300 mg. 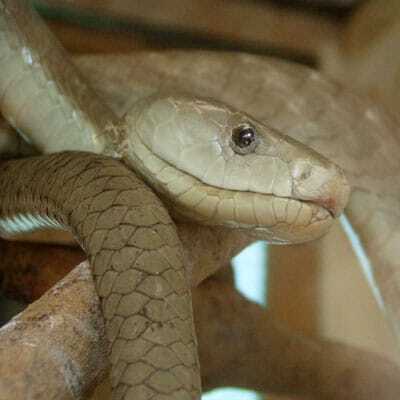 The Mozambique Spitting Cobra inhabits the continent of Africa, its color is tawny black on the top or olive, slate gray to olive gray with either all or a few scales having edges in black. Underneath, the color varies from purplish yellow to salmon pink. Black stripes transverse its neck and ventral, edged or speckled in black or brown. The standard length of a fully grown cobra varies from 90 to 105 cm (3 – 3 ½ ft). The most hazardous male snake of its kind known in Africa is of length 154 cm (5 ft). It spits out its venom similar to the Rinkhals. Its bite inflicts destruction in the local tissues (Just like the puff adder). 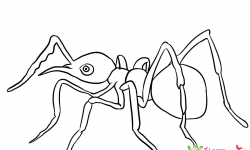 Blindness or damage to vision occurs when its venom inflicts the eyes. Micrurus Tenner is a variety of the poisonous elapid snakes. Comparatively, this snake spreads throughout the Southern parts of the United States and in the Central and North Eastern parts of Mexico. There are four subordinate varieties here; those you see in Mexico and the US generally go by the name, the “Texas coral snake.” Its range extends from Central to Northeast and Southern Mexico and the Southern provinces of the United States. It dwells in the states of Arkansas, San Luis Potosi, Queretaro, Morelos, Tamaulipas, Louisiana and Texas. 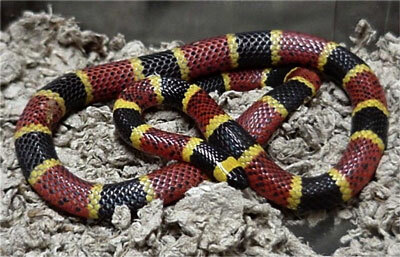 The conventional color of the Texas Coral Snake is like the other the coral snakes, having red, yellow and black bands. 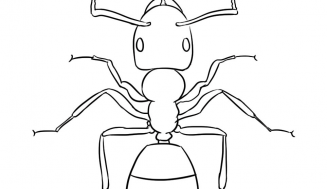 It grows to a length of 40 in (100 cm), still, a majority of them achieve a length of 24 in (61 cm). The venom of the Texas Coral Snake is a strong neurotoxin that leads to dysfunction of the neuromuscular system. There have been no fatal incidents resulting from the bite of the coral snake in the United States. This is because the hospitals have stock of coral snake antivenom. The red-bellied black snake is from the Elapid snake variety found in the eastern regions of Australia. When compared to the lethal Australian snakes the venom of these snakes is less potent and does not lead to major sickness, and a bite from it is not usually fatal. You will come across it generally in the swamps, forests and woodlands of the eastern regions of Australia. The Red-bellied black snake is mostly blackish on its back on the exterior surface and on the underneath surface of its belly, it is pinkish, crimson or reddish in color. Usually its snout is dull brownish in color. It is comparatively a bigger variety of snakes that extends in length up to 2 meters, even though a medium sized variety reaches near 1.4 m.
The Snouted cobra otherwise known as the banded cobra is a variety of cobra existing in South of Africa. The average length of a grownup species is 1.2 to 1.8 m (3.9 to 5.9 ft), these snakes can grow up to a length of 2.5 m (8.2 ft). The scales on the back get altered from the yellow color to brown-gray, black-blue or deep brown, the venom contains a neurotoxin that is extremely poisonous. The intravenous is 1.98mg/kg. A bite may lead to respiratory problem, and if you ignore it, you are likely to stop breathing, resulting in death. They also call the Inland Taipan as the Western Taipan, “small-scaled” snake, “fierce” snake or the western Taipan snake. These snakes are highly venomous belonging to the Taipan variety and prevalent in the partial regions of the central eastern provinces of Australia. 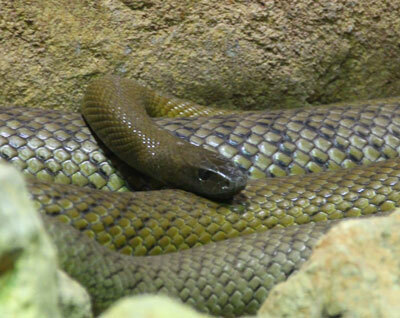 The inland Taipan is regarded as the world’s most poisonous snake; every drop of its venom is by and large, extremely toxic compared to any other snake’s venom – even greater than the sea snakes.